Suppliers are to get more protection in their dealings with big supermarkets in a bid to ensure fair competition. An ombudsman will be appointed to resolve disputes between retailers and their food suppliers, the Competition Commission recommends. They will have the power to award compensation and will uphold a stronger supermarket code of practice (SCOP). Proposed changes to planning laws could also give shoppers a wider choice of supermarkets in their local areas. 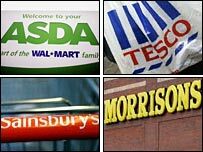 The proposals come after a two-year investigation into the UK's supermarket sector, which is dominated by four major chains - Tesco, Asda, Sainsbury's, and Morrisons. They broadly welcomed the report - although Tesco said a new ombudsman could be bureaucratic and an "unnecessary cog" in the supply chain. The proposed changes could help farmers and consumers, but would do little to ease the plight of small shopkeepers on the High Street, campaigners said. "The proposed remedies should help farmers provided that the ombudsman is given sufficient powers to deal with the supermarkets' bully behaviour," said Friends of the Earth supermarket campaigner Sandra Bell. The plan includes measures to stop retailers imposing restrictions on who can build on land they sell off. Local councils are advised to implement a "competition test" when deciding whether to give planning permission for new large supermarkets. There is also a proposed five-year time limit on the exclusivity agreements between supermarkets and local authorities that prevent rivals setting up shop nearby. However, the plans do not require supermarkets to sell land or stores. Critics said the plans would only encourage competition between the big chains and lead to more large out of town superstores. "Real competition comes from promoting a range of choices from large supermarkets to smaller shops not just by encouraging the big chains to face off against each other," said Luke Herbert, head of UK public policy at the Royal Institution of Chartered Surveyors. The code of practise, which sets out how supermarkets should treat their suppliers, was created in response to the Competition Commission's last major investigation into the grocery sector in 2000. A new version will be created that includes all grocery retailers with turnover greater than £1bn. "The farming industry will welcome an ombudsman," said farmer Mike Smales. "We've seen the power of some of the bigger operators grow consistently over a period of time. We really need to redress the balance." Supermarkets will have to employ compliance officers to make sure the code is followed. The new code will also ban supermarkets from retrospectively changing the terms of contracts with suppliers. Interested parties now have three weeks to comment on these recommendations before the final report is published in April. The British Retail Consortium, which represents retailers, said the investigation had been "costly and time-consuming". "It's time retailers were allowed to get on with delivering for customers," said BRC Director General Stephen Robertson. According to market research group TNS Worldpanel, Tesco, Asda, Sainsbury's and Morrisons - now account for more than three-quarters (76.2%) of the grocery market. In October, the commission concluded that there were aspects of the grocery market that prevented or restricted competition although it said the sector was delivering a good deal for customers. It said many people had too few large supermarkets to choose from in their local area which acted as a barrier to competition. 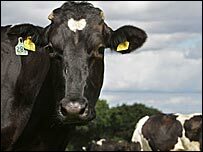 The commission also said it was concerned about retailers being able to transfer unexpected costs to their suppliers.